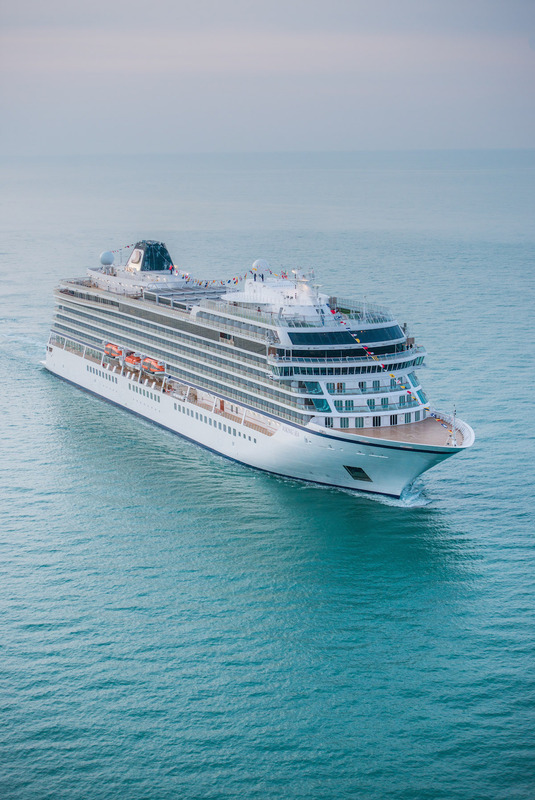 Viking Ocean Cruises® has announced 13 new itineraries that will roll out in 2017, 2018 and 2019. By 2019, the cruise line will have six 930-passenger ocean ships and will offer guests new opportunities for exploration in Alaska, Australia, Asia and the Caribbean. · Australia & New Zealand – Sydney to Auckland and the reverse; sailing on Viking Spirit; December 2018 – February 2019. Inclusive pricing for veranda staterooms start at £6105 per person. · Panama & Central America – Miami to Miami; sailing on Viking Sky; November – December 2017 and January 2018. Inclusive pricing for veranda staterooms start at £4975 per person. · Turquoise Seas of the Western Caribbean – Miami to Miami; sailing on Viking Sky; November 2017 – February 2018. Inclusive pricing for veranda staterooms start at £2445 per person. · Atlantic Crossing – Miami to Barcelona; sailing on Viking Sky; March 3, 2018. Inclusive pricing for veranda staterooms start at £3475 per person. · Passage to India – Athens to Mumbai; sailing on Viking Spirit; August 18, 2018. Inclusive pricing for veranda staterooms start at £6315 per person. · Across the Bay of Bengal – Mumbai to Bangkok; sailing on Viking Spirit; September 8, 2018. Inclusive pricing for veranda staterooms start at £4365 per person. · Capitals of the Far East – Hong Kong to Beijing or the reverse; sailing on Viking Spirit, October 7 and October 21, 2018. Inclusive pricing for veranda staterooms start at £5455 per person. · Southeast Asia & Hong Kong – Bangkok to Hong Kong or the reverse; sailing on Viking Spirit; September 23, 2018, November 4, 2018 and April 7, 2019. Inclusive pricing for veranda staterooms start at £5,405 per person. · Komodo & the Australian Coast – Sydney to Bali or the reverse; sailing on Viking Spirit; November 30, 2018 and March 10, 2019. Inclusive pricing for veranda staterooms start at £5,005 per person. · Bangkok, Bali & Beyond – Bangkok to Bali or the reverse; sailing on Viking Spirit; November 18, 2018 and March 26, 2019. Inclusive pricing for veranda staterooms start at £3,945 per person. · Far Eastern Horizons – Hong Kong to Tokyo; sailing on Viking Spirit; April 21, 2019. Inclusive pricing for veranda staterooms start at £5605 per person. · North Pacific Passage – Tokyo to Vancouver; sailing on Viking Spirit; May 5, 2019. Inclusive pricing for veranda staterooms start at £7,195 per person. From now until January 31, 2017, Viking is offering UK residents an Early Booking Discount on new 2017/2018 ocean itineraries: Save up to £500pp. Contact a travel agent or call Viking at 0800 298 9700.